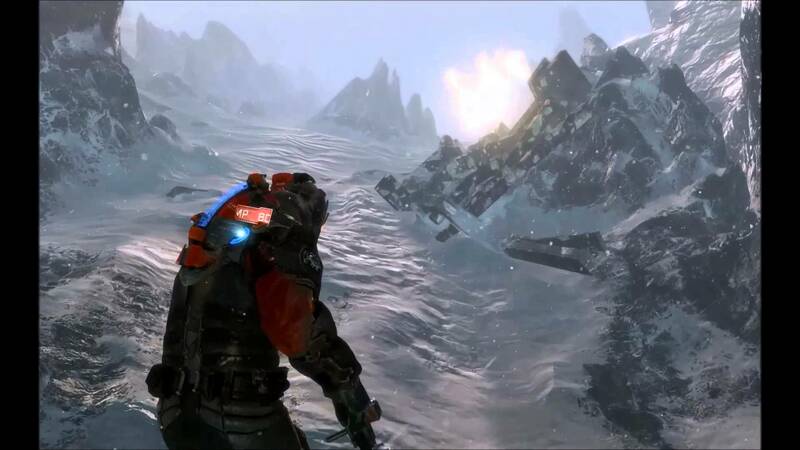 Will EA produce another Dead Space? 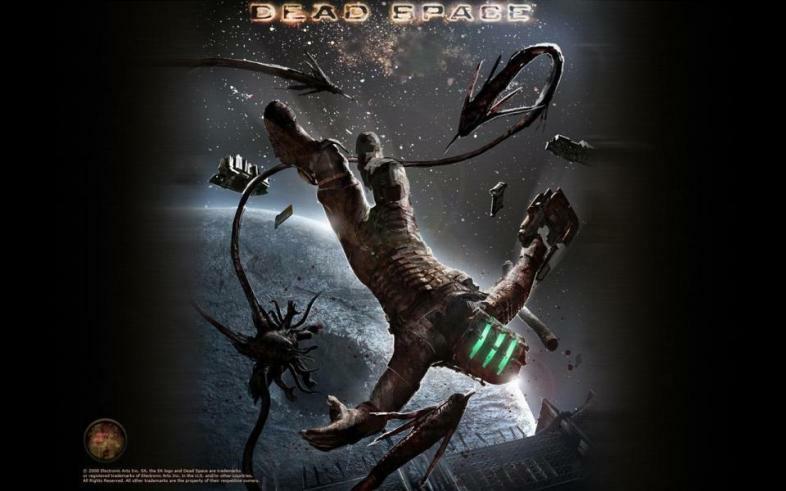 Will there be a Dead Space 4? I want to know, you want to know, we all want to know. 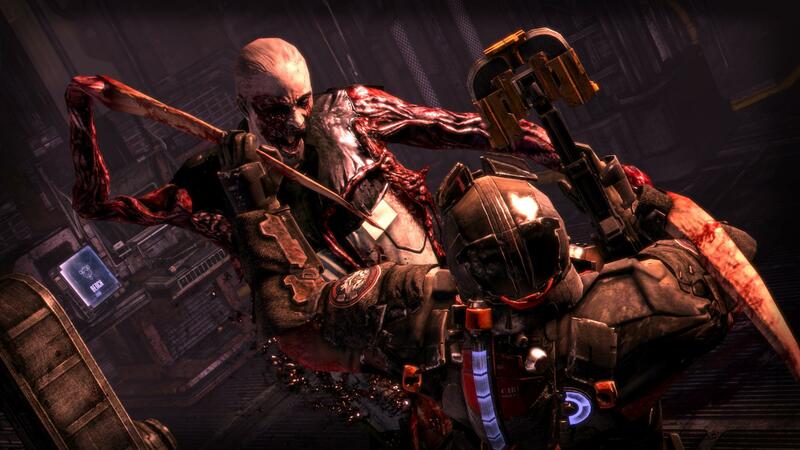 There’s been plenty of speculation about whether or not EA will be releasing a Dead Space 4. 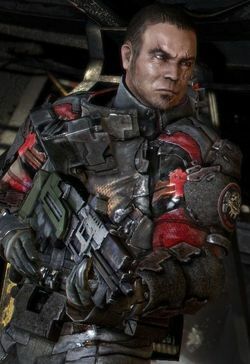 Sales following the release of Dead Space 3 were far lower than anticipated and the lack luster returns on that title has prompted EA to halt production of Dead Space 4. However, EA maintains that Dead Space is a franchise they are passionate about. For those unfamiliar with he series it helps to hear the back-story to better understand what makes this series so unique. The series is set in 2508; the Earth has been all depleted of its resources and the only hope for mankind’s survival is to look to the stars. Enter the Concordance Extraction Corporation; a public trading company that leads the world in deep space mining. They are responsible for the creation of a whole new giant class of ships called Planet Crackers capable of mining the precious resources from an entire planet and hauling them back to earth. It’s this process of stripping a planet of its rarest resources that has allowed humanity to survive. 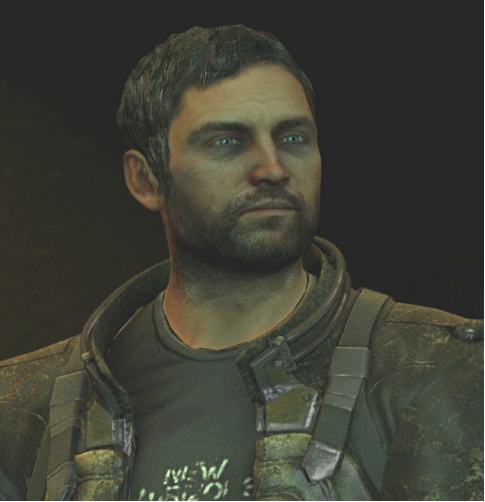 You play as Isaac Clarke, a system tech specialist who is tasked with investigating and repairing the USG Ishimura, the first Planet Cracking class ship ever built, that is transmitting a distress signal. Accompanied by three security personnel and a computer specialist it’s a routine patch, in and out; Or so they thought. The USG Kellion, a CEC vessel, is the ship they take to investigate the USG Ishimura. After a botched docking that left their ship damaged, the crew encounters what appears to be a deserted ship. Soon they discover make a grisly discovery. The majority of the crew have been slaughtered and the ship is overrun by grotesque monsters that can only be killed by cutting off their limbs. As Isaac progresses through the game he finds files left behind by the crew that reveals the story of how the USG Ishimura ended up the way it is. He also is constantly plagued by strange visions of Nicole. If you haven’t played the game there are some spoilers ahead. Through various text and audio files Isaac discovers that a fanatical group called the Church of Unitology has infiltrated the USG Ishimura’s crew to its highest ranks through persuasion and force. 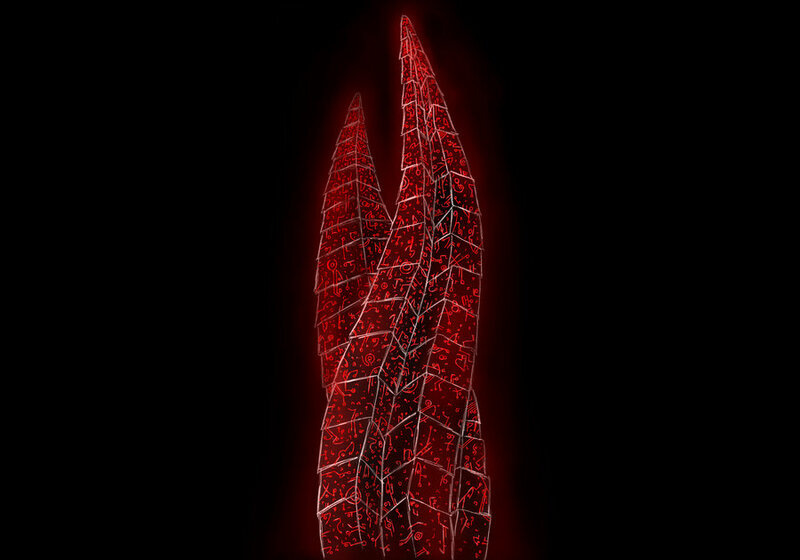 Their goal, use the ship and its crew to retrieve a revered religious relic from Aegis VII called the Red Marker that has been quarantined by the earth Government for unknown reasons many years ago. The Unitologists believe that this relic somehow contains the secrets to human creation and evolution and plan to use these secrets to achieve their own aims. Using the ship that they now control, they manage to extract the Red Marker from the planet and bring it on-board; what they didn’t know was what horrors they were bringing upon themselves. Soon after the extraction of the marker members the colony, both planet-side and on the ship, began experiencing a mass hysteria that caused them to be consumed by extreme paranoia and began behaving violently toward each other. What could possibly be making them gut each other like pigs? Well, it turns out that the marker’s surface harbored the DNA code for a horrible infection that twists and mutates human corpses into Necromorphs; essentially reanimated corpses that are mutated. After much chaos and bloodshed the surviving doctors found a way to alter the Marker in a way that makes it act as an inhibitor of the infection. Now here is where it gets a bit confusing. Isaac loads the Marker on a shuttle and transports it back to the planet in order to make all necromorphs in the surrounding area dormant, thus saving the colony. Little did he know that the Marker once replaced disrupts the gravity tethers holding Aegis VII (the planet the events take place on) together. 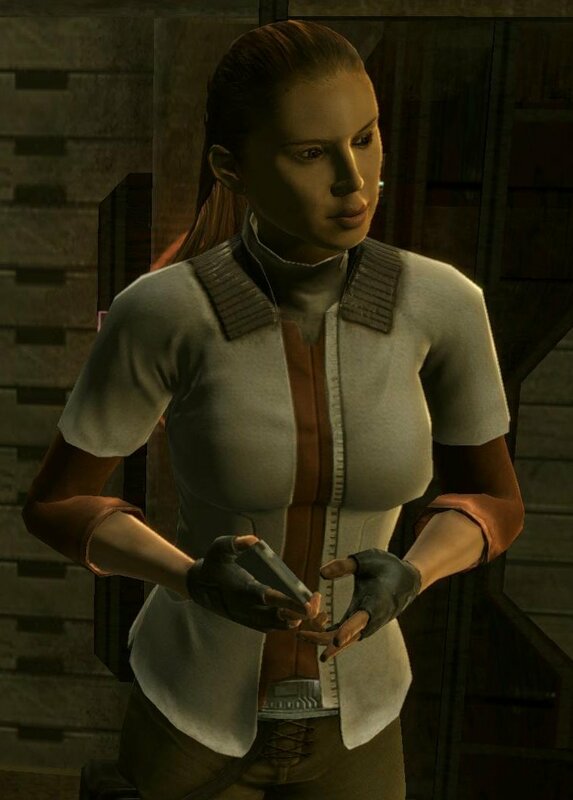 Kendra, the Computer Specialist from the crew of the Kellion, appears and proceeds to take the Marker back to the shuttle. 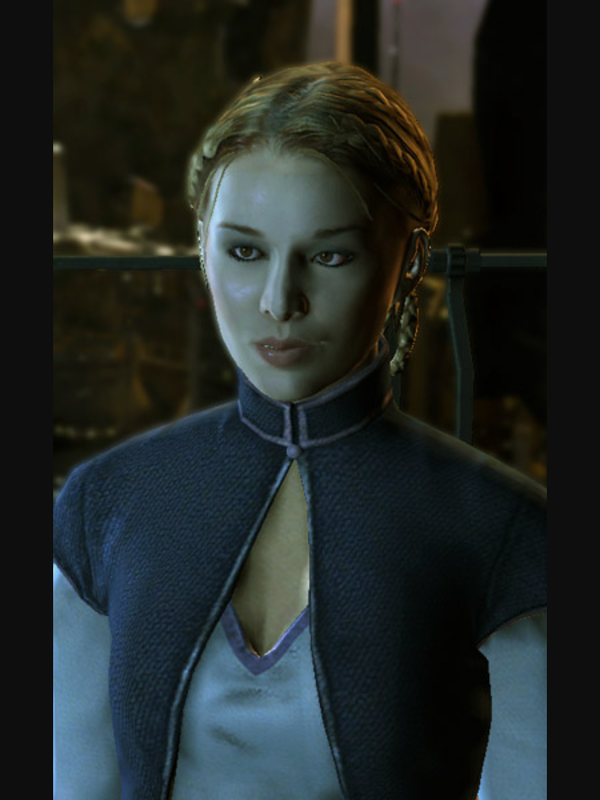 She also shows Isaac a video of Nicole, Isaac’s love interest and a medical officer of the Ishimura, committing suicide by lethal injection before Isaac and his crew even arrived. This means that all the visions he was experiencing throughout this whole ordeal was just the Marker’s attempts to get itself back to the planet. Wait the Marker is sentient? Told you it was confusing. 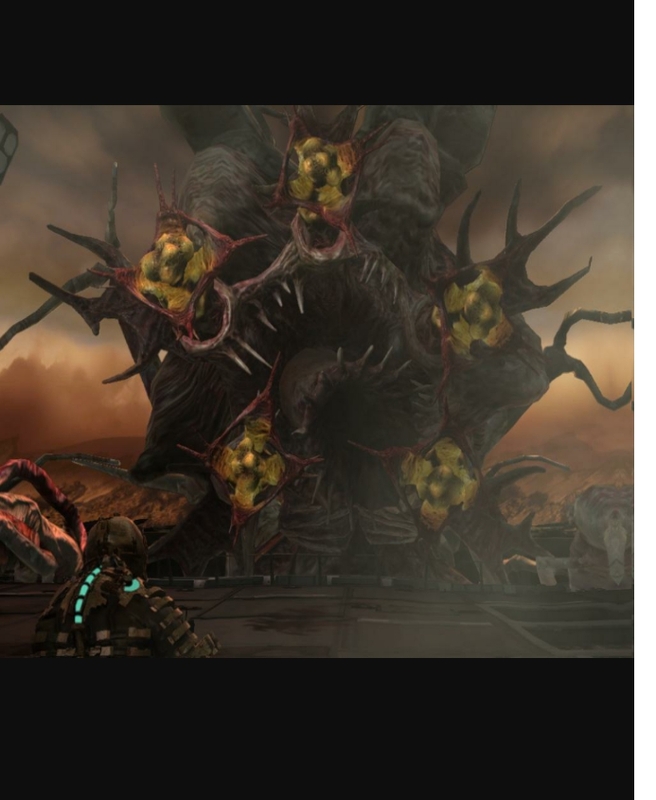 There’s a huge battle between Isaac and the Hive Mind; which is basically a collective of the infection’s consciousness . Isaac comes out on top and leaves the Marker behind before flying off in the shuttle just before the Aegis VII colony is destroyed. The game begins with Isaac awakening in an asylum on the Sprawl, a densely populated space station surrounding a shard of Titan which is one of Saturn’s moons, with no memory of the past 3 years; talk about a black out. Franco Delille is the first person Isaac sees, though their meeting is cut short when a Necromorph kills Franco, leaving Isaac to figure things out on his own. Soon he comes in contact with Daina Le Guin, who claims to be someone who can help. 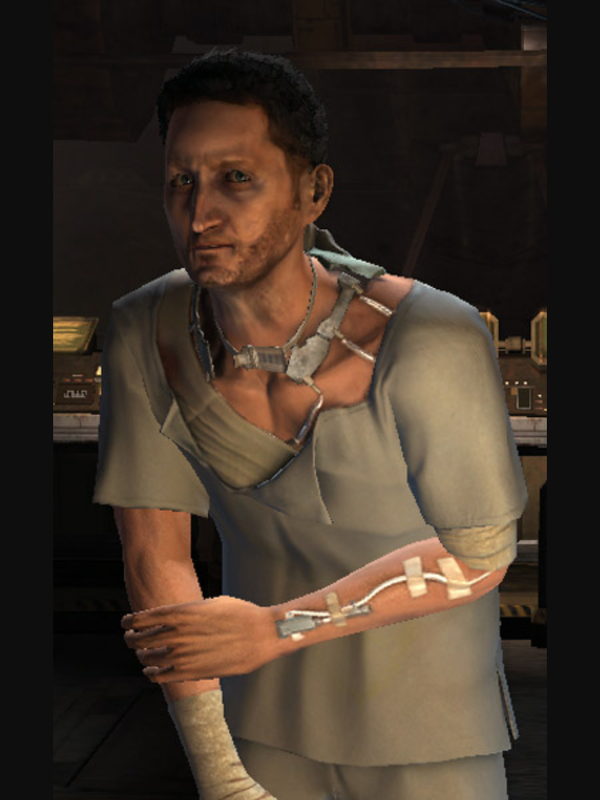 At the same time he’s being contacted by Nolan Stross who on first appearance seems to have a few screws loose. All the while Isaac is experiencing hallucinations of Nicole telling him not move forward with the tasks being assigned to him by Daina, but we’ll get back to that. So understandably Isaac ignores Stross and follows Daina. Solid move right? Wrong. Daina turns out to be a Unitologist agent who is under orders to use Isaac’s memories to recreate the marker. Why Isaac? Well, it just so happens that his proximity to the Marker has somehow imprinted a sort of blueprint on how it’s constructed. She captures Isaac with the the intent of using him to create more Markers to bring about an event called Convergence; a cult belief shared by those who believe in Unitology. Thankfully, an Earth Government gunship strikes just in time to kill Daina and her minions allowing Isaac to escape. Stross once again contacts Isaac offering a way to destroy the marker and pinpoints its location as being in the Sprawl’s Government sector. Isaac believes him this time and sets out on a mission to infiltrate the Sprawl picking up a Concordance Extraction Corporation pilot named Ellie along the way. Ellie is key to helping Isaac navigate the Sprawl and their adventures eventually lead them back to the Ishimura which is docked in the Sprawl for decontamination. Unfortunately for Ellie, Stross is officially out of his mind and gouges her eye out with a screwdriver. She survives and Isaac kills Stross. At this point Isaac’s visions of Nicole have reached a zenith; lots of verbal abuse. Somehow he overcomes these visions by accepting the guilt he feels for not preventing her death and the visions stop. Once Isaac reaches the Government Sector he does the noble thing and sends Ellie away on a gunship, very much against her will. He finds the Marker surrounded by Necromorphs, shocker, which triggers Convergence. Though with the help of the Noon-light Diagnostic Machine, a device that was used on both him and Stross in the past, he activates the parts of his brain that had been affected by the marker. The climax of this game is a battle of wills between Isaac and the Marker in which Isaac comes out victorious rendering the Marker inoperable. Isaac awakes to find the Marker down, but the damage to the Sprawl has triggered a meltdown. Seeing no way to escape Isaac resigns himself to his fate. Just then Ellie comes crashing through the ceiling rescuing Isaac and the two escape as the Sprawl explodes. Our story starts in the year 2514, Isaac is now in the hands of the Earth Government. They are using his mind to acquire the blueprints for a Marker so that they can mass produce and exploit resources for the planet Earth. Somehow the Marker on Titan Station has been activated and another outbreak of Necromorphs ensues. Isaac escapes with the help of Ellie and they take refuge on the New Horizons Lunar Colony. The two form a romantic relationship that eventually goes south. Isaac regrets the split up deeply. Fast forward a few years and now Ellie needs Isaac’s help for one final mission. A new threat has risen to power, the Inner Circle of the Church of Unitology. They are destroying the containment measures keeping the Markers at bay in an effort to unleash the virus. After narrowly escaping an attack by the Inner Circle Isaac along with Norton, Carver, Rosen and Locke travel to Ellie’s last known location in the Tau Volantis system; her ship the CMS Roanoke is emitting a distress signal. After a docking and fighting off a hoard of Necromorphs in an effort to restore power and functionality to the ship, Isaac is finally reunited with Ellie only to find she has developed a relationship with Norton. Poor Isaac can’t catch a break. Never the less, there are bigger issues. After some serious brainstorming Isaac and Ellie determine that the Captain had discovered a machine that could deactivate the Marker and that the planet Tau Volantis is the home world of the Markers. 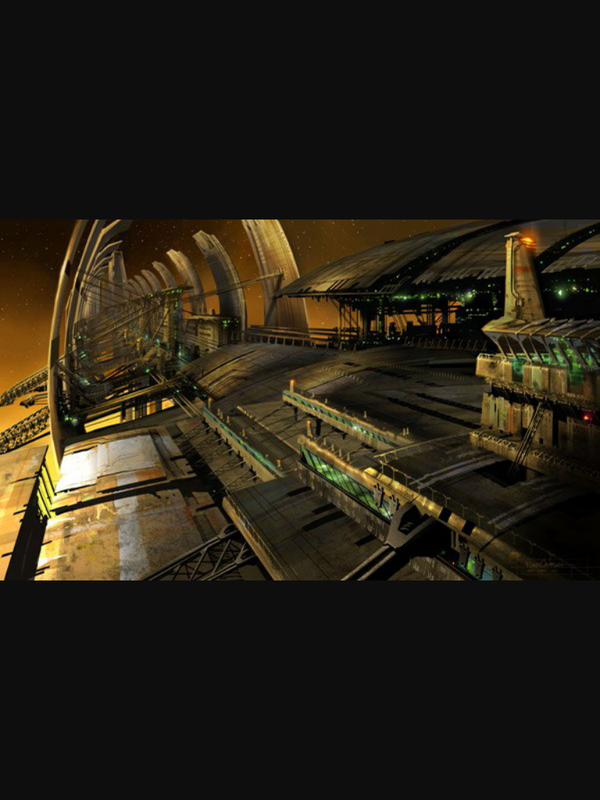 The General consensus is to proceed to Tau Volantis to continue the mission to disable the Marker, though Norton vehemently objects believing that continuing this mission is simply a ploy by Isaac to get Ellie back. During the landing something goes wrong and they crash killing Locke and Rosen while separating Isaac from the rest. He follows a series of clues that conveniently leads him to a dying Buckell, a member of the crew who died, and a RIG designed to withstand freezing temperatures; exactly what he needs to survive this frozen planet. 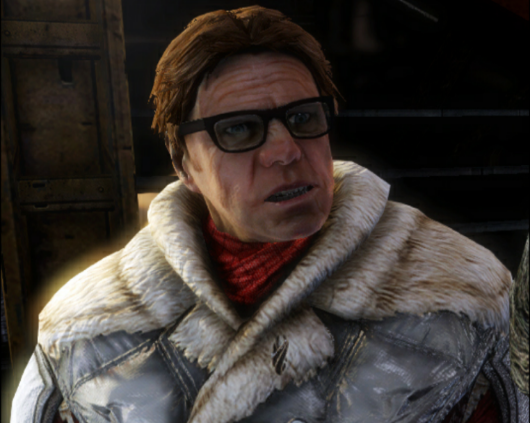 Soon he’s reunited with Ellie and the other survivors only to be attacked by Jacob Danik, leader of the Unitologist group called The Circle, and his soldiers. They escape and soon find themselves in a warehouse that’s housing a giant frozen Necromorph known only as the Nexus. The Nexus contains signals within its body that can be tracked back to the Marker. The only problem is they need to thaw it out first. During their attempt to thaw the Nexus, Isaac and Carver are ambushed and captured by Danik’s soldiers. Danik reveals to the group that it was Norton who had led them to Tau Volantis. Nortan tries to save Ellie and the group by reminding Danik of their agreement while throwing Isaac under the proverbial bus. Danik, however, decides to betray Nortan and attempts to kill them all only to be attacked by a newly thawed Nexus. An epic battle ensues and Isaac comes out on top. After the battle Norton turns on Isaac forcing him to kill Norton in self-defense. The group is now down to four, but they must push on. What they discover next is a twist that nobody saw coming. The Necromorphs are not a new phenomenon. They discover that an ancient civilization grappled with this problem on a much broader scale and that the moon orbiting Tau Volantis is actually a composite of dormant Necromorphs. The civilization’s dying act was to freeze Tau Volantis and prevent a cataclysmic event known as Convergence when the infestation spreads throughout the universe. They created an enormous machine that gets the job done. They need only activate it. Unfortunately danik heard much of this revelation and when the room fills with a deadly gas he makes a hasty retreat. During the confusion Ellie becomes trapped and separated from Isaac and Carver. Unable to escape she sacrifices herself by having them seal the doors so that they can escape. Enraged and grieving they tear through the remaining soldiers like nobody’s business and make it all the way to the core where Danik waits with Ellie who had miraculously escaped, but managed to get captured by Unitologist soldiers. Carver betrays everyone do to a prearranged deal he had made with Danik to spare himself and Nicole giving the Codex explaining how the machine works to Danik who turns it off and sets off the Convergence. The moon descends on the planet, no longer kept at bay by the machine, and stripping away the surface layers of the planet. Danik in the throes of his success is impaled by a random piece of falling debris. Who says there’s no such thing as karma? Isaac knowing all is lost kisses Ellie goodbye as she escapes on a shuttle. Isaac and Carver fight through the madness managing to reactivate the machine and set it to reject the Convergence stop the event and have the moon crash into the planet. Ellie escapes and the ship’s instruments don’t detect any Marker signal meaning the universe is safe. However, after the credits Isaac’s voice is heard calling out for Ellie followed by the sound of Isaac’s breathing apparatus. So here we are stuck with a cliff hanger. It’s maddening and enough to have us crawling up the walls. But the question is will there be a sequel? Well the ending sets up for one and as I previously stated there have been plenty of whispers about EA developing a Dead Space 4. 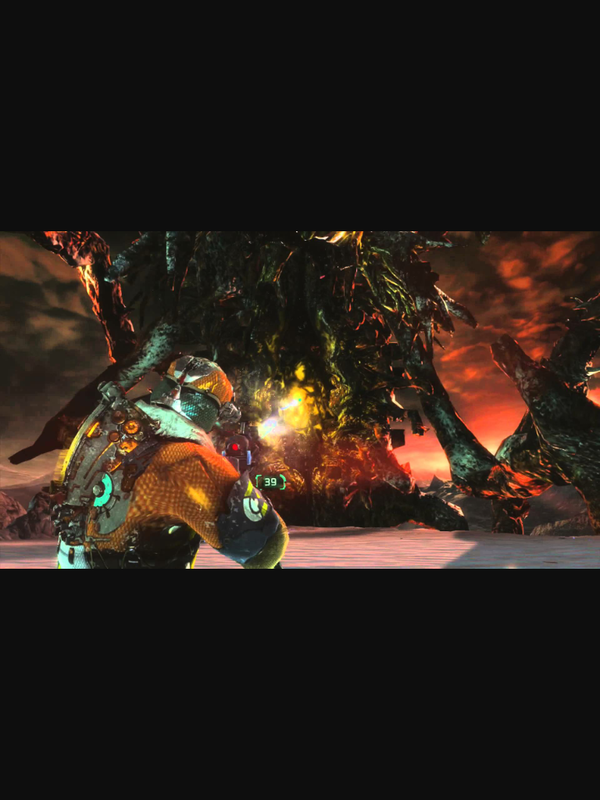 Though with the lackluster sales of Dead Space 3 it’s likely we’ll have to wait a while before production resumes on Dead Space 4. It’s possible that with a bit a pressure from the niche fan-base that there could be some incentives for EA to get the wheels going again on this title, but It’s all up in the air at this point. 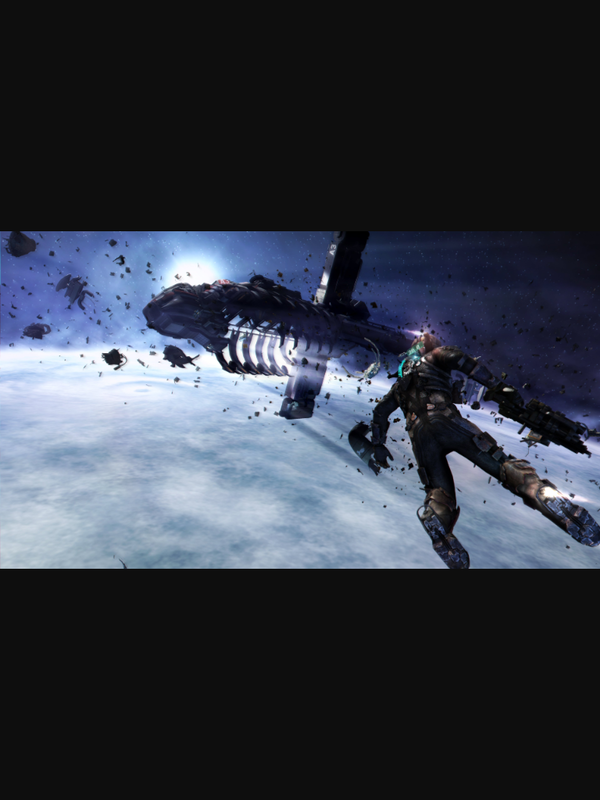 What a Dead Space 4 could look like is anyone’s guess. There was a lot of resolution in terms of the plot and the series almost could have ended with the third installment had they not went with the cliff hanger. There are a number of directions they could go with the story. Perhaps we get a whole new character and that character works with Ellie to retrieve Isaac. We know he was clinging to life and after basically saving the universe you’d think the guy is worth going after. 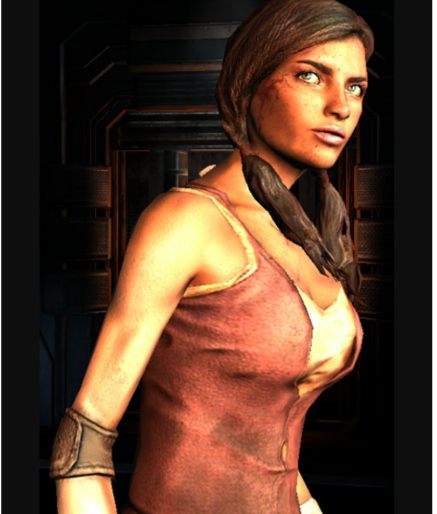 Perhaps they even make Ellie playable as she pilots a mission to retrieve Isaac dead or alive. He has to be considered a national treasure after that kind of sacrifice. They could also pick up the story from Isaac’s point of view, fighting to ensure survival. We can imagine delving into his emotional state having survived what was essentially a suicide mission. Play as Isaac trying to reach the outside world and let them know he survived. Whatever direction they decide to go in you can bet it’s likely to be different from what they’ve done in the past. The open ended cliff hanger left them a lot of wiggle room and with the next gen console power to draw on there’s a lot more they can do for this title than they could before. We’ll just have to wait and see. I'm an avid gamer who lives to pwn my enemies! Don't be that guy or gal.